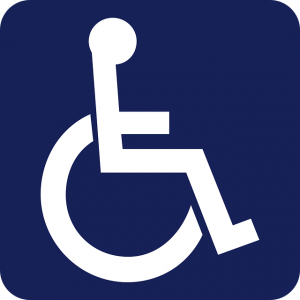 A handicap parking permit can be issued to eligible individuals by the New Jersey Motor Vehicle Commission. You’re eligible to apply for a permit that allows you to park in handicap spaces if you have a permanent or temporary disability. You can no longer use one of your limbs, either because of paralysis, amputation, or another permanent disability. You cannot walk without the use of, or assistance from a brace, cane, crutch, another person, prosthetic device, wheelchair or other assistive device. You have a heart condition in which your ability to function is classified in severity as Class III or Class IV according to standards set by the American Heart Association. You have an arthritic, neurological, or orthopedic condition that limits your ability to walk. You are unable to walk 200 feet without needing to rest. If you meet one or more of the eligibility requirements above, you can apply for either a permanent or temporary parking permit. These are easily identified with the permanent placard being blue, and the temporary placard being red. Keep in mind that before applying for a permit you must provide certification from a medical professional regarding your disability. Those with temporary injuries or disabilities are best off applying for a temporary permit. It’s important to note that when applying you must do so in person to your local New Jersey police chief, not at the Motor Vehicle Commission as many would assume. To apply, you must submit a completed Application for Temporary Placard (Form SP-68). With this application you must include the certification from your medical professional. There is also a $4 fee involved with submitting the application. The temporary permit is valid for six months. If after that time you feel as though you’ll still need the permit, you can apply for another temporary permit for another six months. To do this you will need to have your doctor re-certify your injury, complete another application, and pay another $4 fee. If you lose or need to replace your temporary permit for any reason you must contact your local police chief in order to do so. Those with long-term disabilities are best off applying for a permanent permit. There are a few key differences between applying for a temporary permit and applying for a permanent permit. First off, the permit is issued by the Motor Vehicle Commission, not the local police chief. In addition, when applying for the permit you can do so either in person or by mail. When you apply for a permanent parking permit you will also receive a “Person with a Disability” ID card, which is just as important to keep with you as the permit itself. To apply for the permit, you’ll need to submit The Application for Vehicle License Plates and/or Placard for Persons with a Disability (Form SP-41). With this application you’ll also need to attach the certification from your medical professional. If you’re applying for a wheelchair symbol license plate you will also need to provide a copy of your vehicle registration. The benefit of applying in person is that you will receive the handicap parking permit on the same day. A mailed-in application could take up to 6 weeks to process. Permanent permits are valid for up to 3 years. After 3 years you must renew your certification, which is completely free to do. All you have to do is get re-certified from your medical professional, complete another application, and submit it to your local NJ MVC office. Applying for a handicap parking permit is so easy there’s no excuse not to do it. If you’re of limited mobility you deserve one of these permits to make parking one less obstacle in your life. If you have any other questions about how to apply for a handicap parking permit in NJ, please leave a comment below.